Slip dresses came into fashion originally as a fleeting trend, yet here it is now majoring almost in every woman’s wardrobe with its versatility and simplicity. Be it a wedding gown or a summer casualty, slip dresses can make you look perfect for any given occasion, grave or frivolous. Put this silk cami dress on for your anniversary or an exclusive dinner party and you should miss the stares of no mortal around you. Quit the heavy jewellery look with this and compliment it with hoop pendant earrings and a pair of sling-back shoes. The simple brown Gaia dress is easy, comfortable and very adaptable. You could turn it into a prototypical attire for almost any occasion. This is the perfect skater dress best as the bodycon partywear slip dress. This Zodiac print attire is ideal for a wedding party, black tie or a cocktail after-party. Raey’s leopard-print dress goes perfectly with a ribbed-knit sweater on colder evenings. 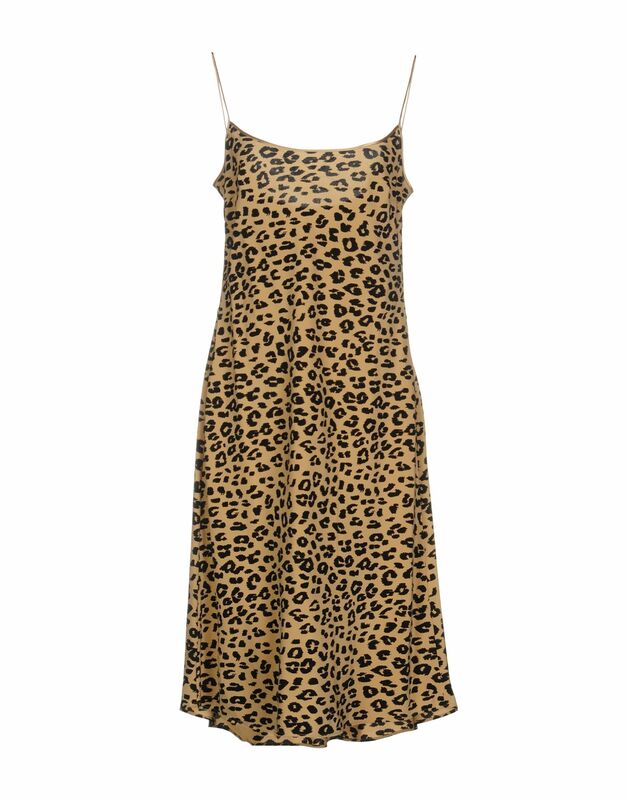 This stunning satin-slip dress with lace details is complimented with a matching V-neckline and slits at the sides. Wear this to a formal party and woo the guests with the classic simplicity of it.